My entire family was influenced by the Beatles and now my children too. When I was very young, I used to ask my grandmother, whom I lived with, if she remembered when there were cowboys? She would answer “yes, I remember as if it were just yesterday.” As I grew up, I realized life events are like that, as if they were just yesterday. It was a Sunday evening, February 9, 1964, when I could hear the neighbor’s preteen daughters, Gloria and Blanca, singing “I want to hold your hand,” by the Beatles. The song was very popular on the radio, as was “P.S., I love you.” And, at the ripe old age of 7, I knew this night was going to be extra special, a life event. It was nearing the time, 7 p.m. Central Time, for us, the neighborhood and the rest of the country to experience a life-altering event - the Beatles were going to be on the Ed Sullivan show. As the program started, we were excited, watching our small black and white TV, a Zenith brand, and singing Beatles songs. My older siblings were sitting in front while I stood behind them. My mom sat behind all of us on the couch tending to my younger sister and brother. Suddenly, Ed Sullivan comes on and announcesthe Beatles. Screams from the TV audience made it hard to hear their performance, but what was incredible was being able to hear the screams of Gloria and Blanca. The Beatles performance that night was a life event. It was burnt as a significant memory that seems just like, well, yesterday. The image of girls screaming to hear someone sing and play guitar was very impressive, and although I was only in second grade at Our Lady of Guadalupe School, I knew I wanted to grow up to be a rock’n roll musician. Since that night, I paid attention to everything Beatles. Magazine articles, TV and radio information, and of course the new songs being released. During this span of about six years, our country also experienced a significant and historic change. The English invasion brought newhairstyles and clothing fashion, distinguishing those who were “square” from those who were “mod.” It also helped fuel a social change that took away the innocence of the beach and bobby-sox image the late 50s and early 60s introduced. 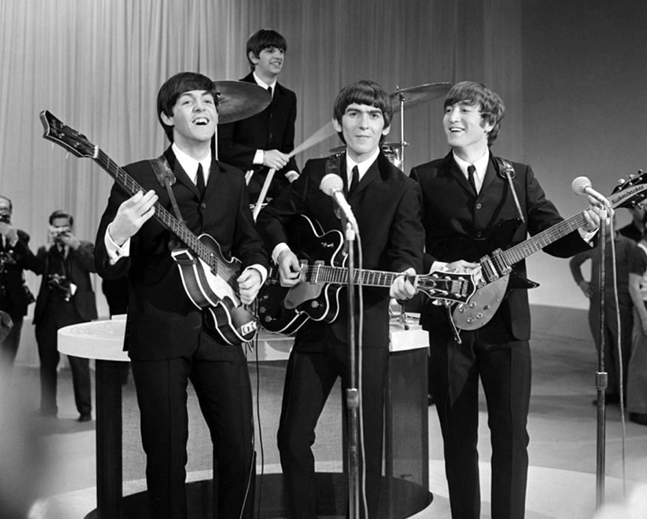 Each year after that 1964 appearance by the Beatles, gave us more maturing music. !965’s Rubber Soul album introduced us to Indian music as the Beatles incorporated the sound into a couple of their songs. But, it wasn’t until the release of the Revolver album that it occurred to me and many others that we would no longer hear teeny-bopper songs like “I want to hold your hand.” Their music had grown more poetic, as it was emphatic. A mere year later, the Beatles released a genius of an album, Sgt. 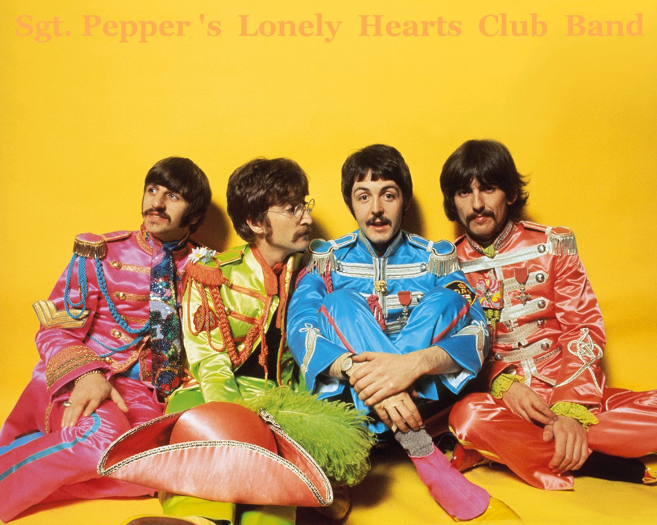 Peppers’ Lonely Heart’s Club Band. Critics raved as did music lovers throughout the world. The Beatles had attained the status of “great” and there were no other bands or performers able to reach them. 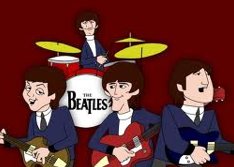 There three follow up albums, The White Album, Abbey Road, and Let It Be were clear demonstrations of technical and sophisticated sounds their music had become. 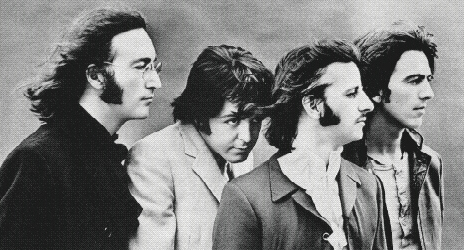 Like all good things, in 1969, the Beatles broke up. The world was never going to experience such an incredible collection of over 200 hit songs by a single performing group. The life events with the Beatles that I experienced since February 9, 1964 include the death of two of the Beatles. John Lennon was shot dead in New York while I sat at the Holiday Inn Bar in Burbank, California. I was watching Monday night football with a friend when Howard Cosell announced that John Lennon had been shot dead. The bar, which was filled with football enthusiasts, went completely quiet. Then little by little, you could hear women and men weep.